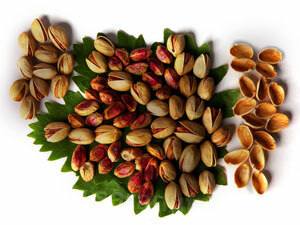 Ghohar nab sara is seller, supplier and exporter of Iranian pistachio are Akbari, kaleh ghochi, Fandoghi, Ahmad aghaei. Sale prices are direct from the farmer. 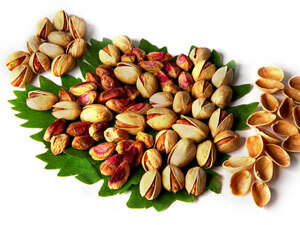 The best pistachio in the world is produced in Iran in cities Kerman, Rafsanjan and Damghan. Pistachio is a great tonic fruit that contains vitamin B1, B3 and E . Pistachio contains nutrients such as Iron, Potassium, Phosphor, Calcium. 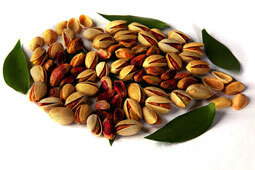 Also Pistachio is hematopoietic due to the abundant Iron. Akbari: The commercial name is Super Long and is oval shaped, long and gross. Is one of the commercial cultivars dried fruit, that have highest value economic. 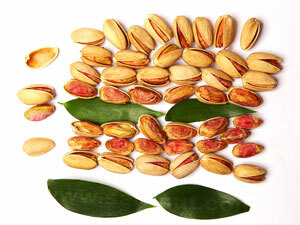 This type of Pistachio are oval-shaped, elongated and coarse & be harvested in mid September. Kaleh Ghochi: The commercial name is Jumbo. The size and shape is similar to hazelnuts & one of the famous varieties. Fandoghi: Its second name is Ohadi and its commercial name is Round. The shape is rounded. 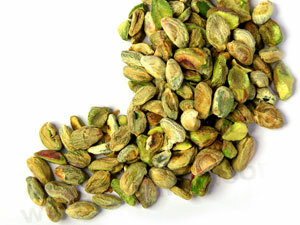 At present, this figure is most of the cultivation pistachio of iranian orchards. Ahmad Aghai: The commercial name is Long and is oval shaped and its color is specific red. is the family of oval & this type have market very good. Pistachio green kernels: Produced from unripe Pistachios and is used in confectionary and chocolate industry due to its special flavor.